Even though summer has been gone for some time and we are well and truly into the Autumn months, it doesn't mean that we cannot delve into the fruity and floral scents. 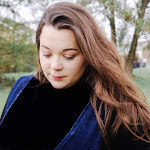 Over the last couple of months I have been completely obsessing over the Monsoon Rose Gold Eau De Parfum, which is the perfect scent for the Autumn. 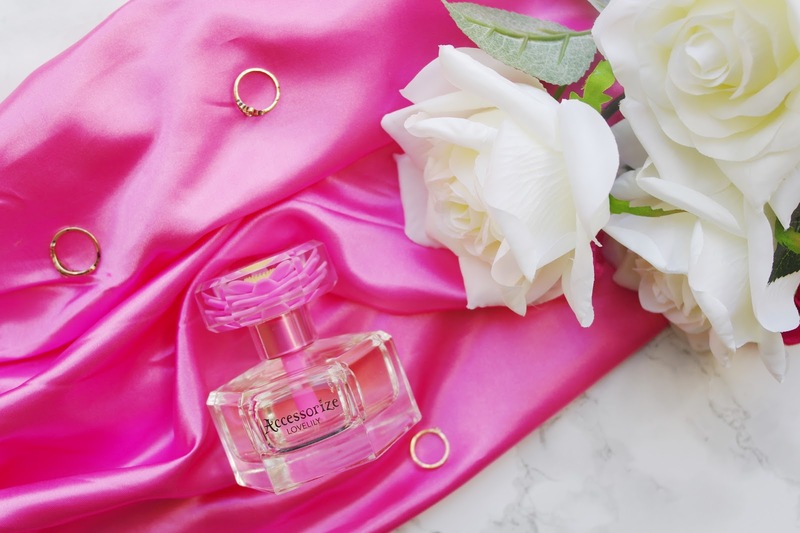 However, like with most things, every so often I like to change things up a bit and what better way to do that than with a fruity floral scent, namely Accessorize Love Lily Eau De Toilette. Firstly, before we get into this review can we just take a minute to talk about the beautiful packaging. The hexagon shaped bottle is so perfect for any dressing table or vanity, and the cap, with that 3D looking lily flower, gives it that ultra-girly finish with a pop of yellow and colour contrasting pink. To round the whole thing together even the box accents the floral notes of the scent, and that summer feel with bright pops of colour tying it all together beautifully. A lovely bottle to be seen and not hidden away. Love Lily is very fruity, it’s a very good combination of Raspberry, Orange, Jasmine and Vanilla, these work soo well together to create a scent that isn’t too overpowering. Raspberry is actually a lovely scent, I think it has to be along the lines of Strawberry, which seems to make everything beautiful. I wouldn’t actually think to put these flavours together but surprisingly it works well. It one of those fragrances that certain scents hit you at different times, with Raspberry hitting you first, then the zesty scent of Orange and then sweet Vanilla.The perfume itself is available to purchase now in-store and also online. It is available in 75ml at £19.00 the perfect size for you or or vanity table. The fragrance is both warm and refreshing and perfect both day or evening wear. 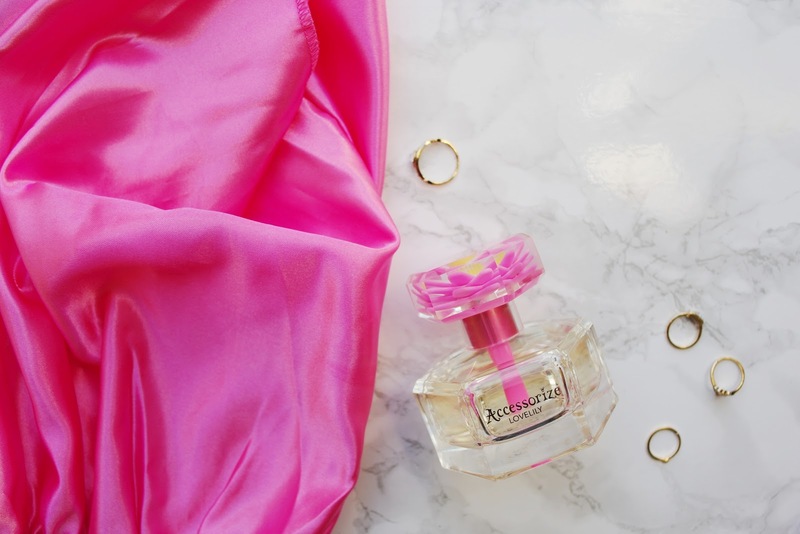 Despite it being a light perfume, it's long wearing and would suit a multitude of tastes due to it balancing perfectly between a sweet and fruity scent. I found the wear time to this perfume is just as good as the most expensive perfumes in my collection. I like to apply a couple of sprays in the morning and still smell the scent in the evening. Love Lily is such a sweet and fruity scent at first I didn’t quite know what to expect. The first thought I had was how sweet the perfume was, then as it began to mellow, my next thought was how floral and light it was. Personally, I love sweet, floral scents, so this perfume is ideal for me. It’s fruity, refreshing, and best of all, it can be worn for around six hours without needing to be topped up. So for only £19 you can't really go wrong. Fancy entering our giveaway? With Christmas just around the corner, it's make complete sense to host another giveaway on the blog. We are lucky enough to be able to giveaway a beautiful bottle of Love Lily Eau De Toilette, so if you want to get your hands on this then enter our giveaway. 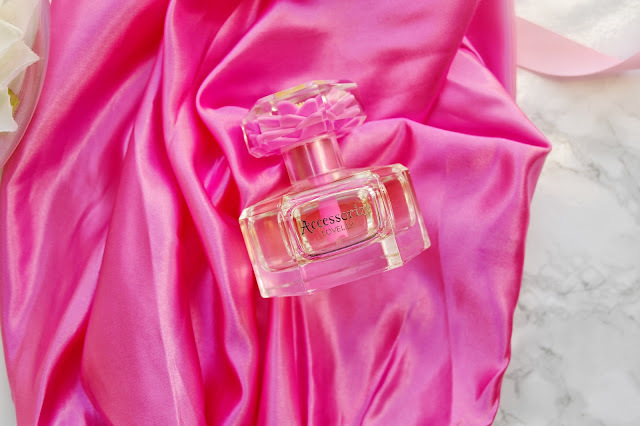 10 comments on "Accessorize Love Lily Eau De Toilette "
Beautiful photos and it sounds like a lovely fragrance. This sounds super lovely :-) and looks adorable at the same time! It sounds like a lovely fragrance. Good luck to everyone in the giveaway! To draw out the genuine beauty of Cate Blanchett Anti Aging Products your facial skin, you should require significant investment every day to wash down and saturate your skin.